The Sheldonian Theatre located in Oxford, was built from 1664 - 1669 from a design by Christopher Wren. Seating nearly 1000 people it is mainly used for music concerts, lectures and University ceremonies. 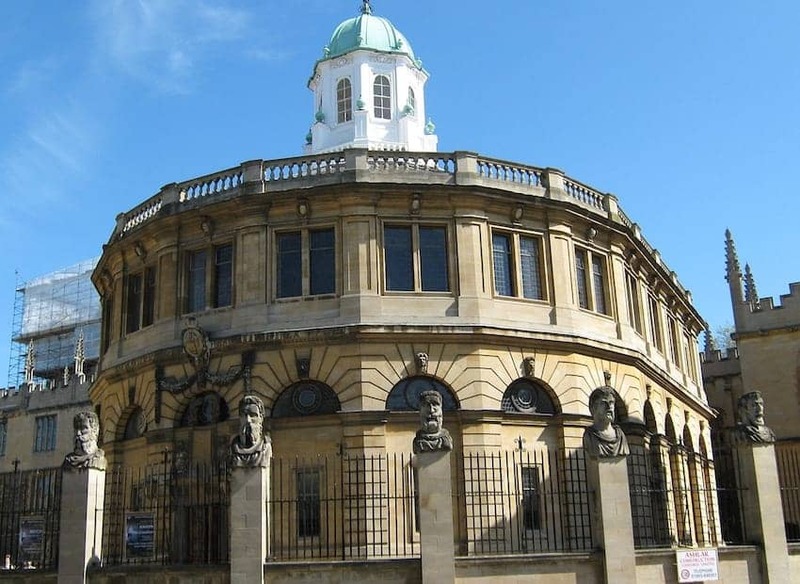 The building has a prominent eight-sided cupola in the centre of the roof with large windows on all sides and views across Oxford. Handel conducted his third oratorio Athalia here in 1733. The ceiling fresco, consisting of 32 oil on canvas paintings depicting Truth descending upon the Arts and Sciences, was restored recently. They were originally painted by King Charles II's court painter.